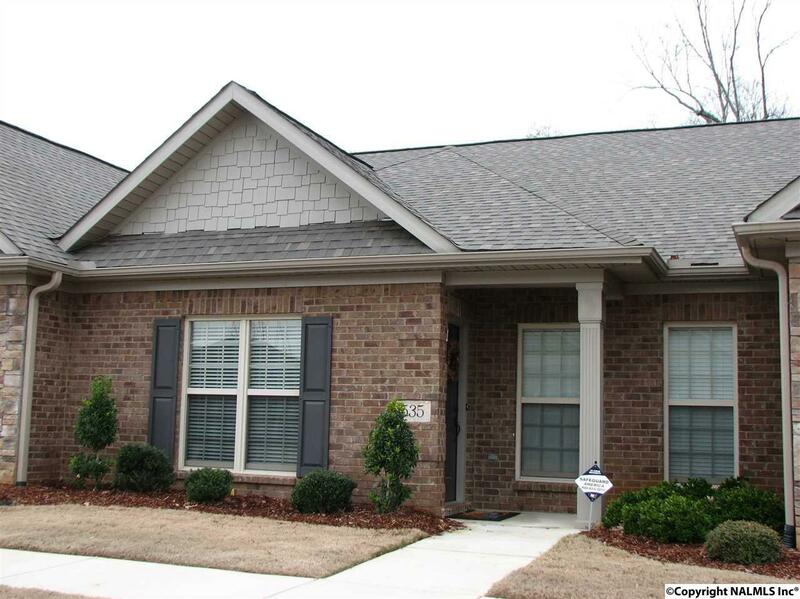 One story townhome with open floor plan, 3Bed/2bath just half mile from Redstone gate 7. Extensive crown molding and hardwood in main area, SS appliances, tumbled travertine back splash, custom wood cabinets, & granite counter tops. Master and DR has trey ceiling & rope lighting. Gas fireplace, 2 car rear entry garage, private courtyard . Energy Star rating with energy efficient hybrid dual-fuel heating system & tankless water heater.